Genie aerial lifts are known throughout the heavy equipment industry for their ability to provide unmatched reliability, ease of operation and maximum safety in all types of work environments. 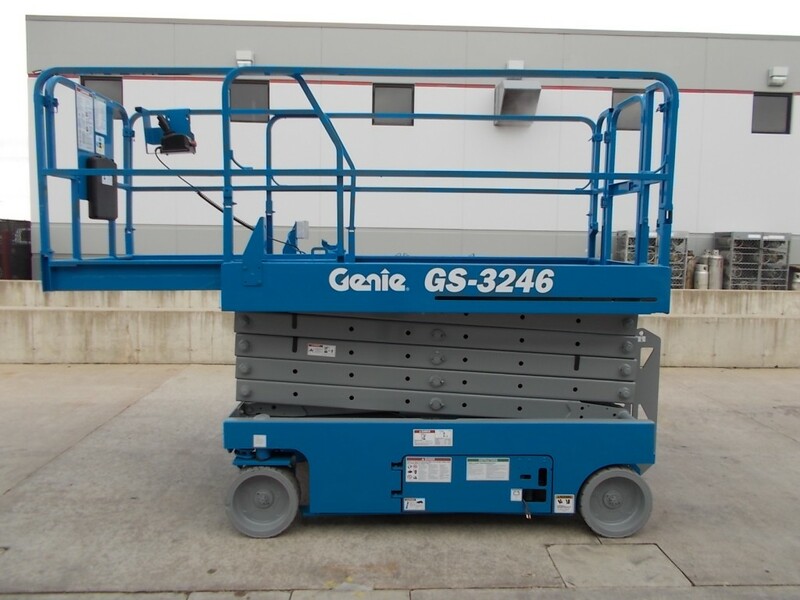 Genie lifts are a preferred choice for numerous applications in a variety of industries such as warehousing and retail, construction and aviation. Chicago Industrial Equipment carries a complete lineup of Genie aerial lifts for sale that will rise above your highest expectations. We have more than 35 years of experience in helping companies just like yours reach new heights! 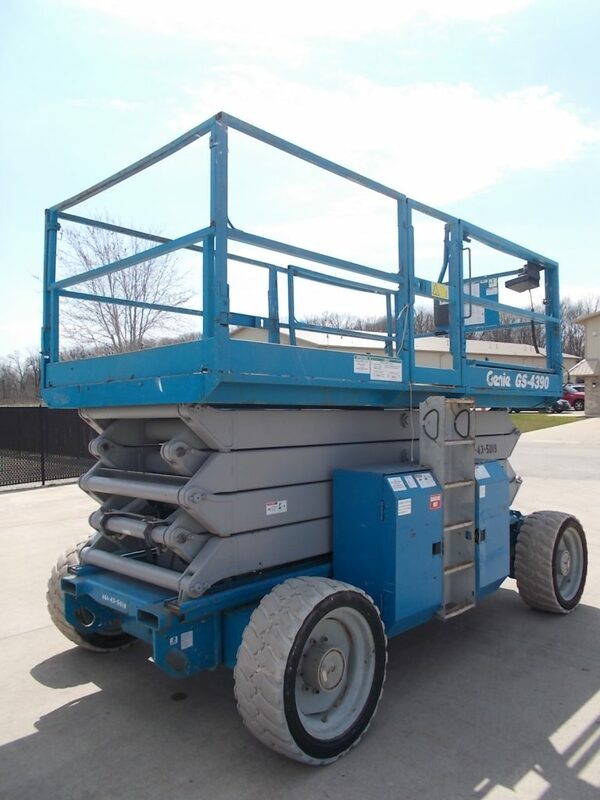 We Offer Used Genie Scissor Lifts for Sale! Chicago Industrial is proud to be a trusted source for new Genie scissor lifts in IL. We stock slab scissor lifts that are ideal for maneuvering in tight spaces in both indoor and outdoor work environments, as well as rough terrain scissor lifts that can increase productivity at even the most demanding outdoor jobsites. Our inventory can also include new Genie boom lifts for sale such as articulating and telescopic booms. It’s no mystery that keeping costs low is essential for maximizing profitability in any business. You’ll find our extensive selection of dependable used Genie lifts for sale can help you do just that — without sacrificing quality. Our inventory typically includes a huge assortment of late-model, low-hour used Genie boom lifts and used Genie scissor lifts in peak operating condition. At our own on-site reconditioning shop, we restore lift equipment to like-new condition, and we also sell “as is” machines that recently served as lease equipment. Affordable financing can simplify the process of getting the lift equipment you need to maximize your business’s potential. Chicago Industrial has partnered with Direct Capital to offer a wide range of flexible financing options that can be tailored to your business requirements. You can apply online quickly and easily, and you’ll receive a fast response to your application. Our sprawling eight-acre facility, which includes a 40,000-square-foot showroom, features a vast selection of Genie aerial lifts for sale. And we don’t just sell Genie lifts in Chicago; we can ship our equipment to locations across the United States Canada, Mexico and around the world. Get a No-Obligation Price Quote Today! 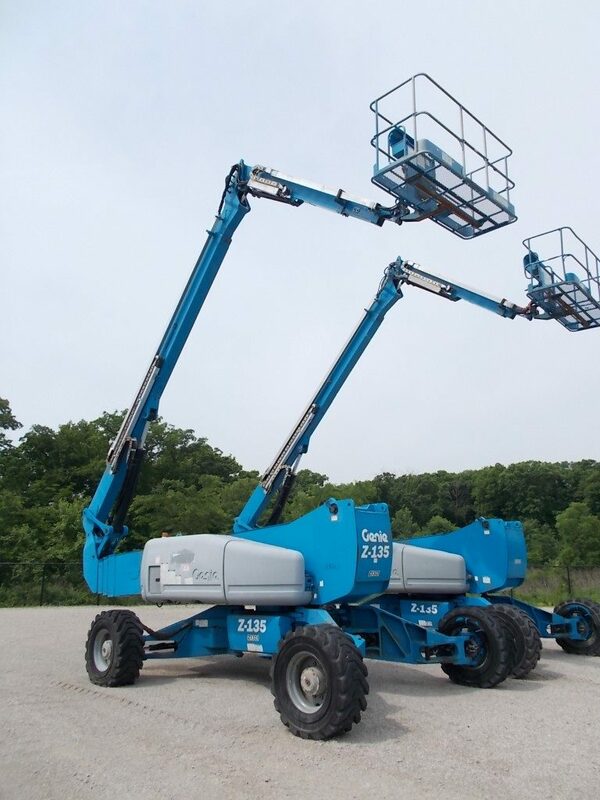 We invite you to browse our current inventory of Genie boom lifts for sale, along with our entire selection of Genie lift equipment in IL. And if you don’t see the machine you’re looking for, just let us know, and we’ll be happy to find it for you!